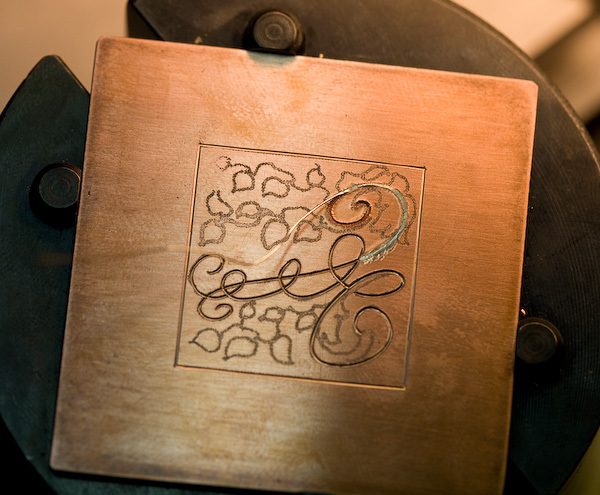 As there is so much to learn in engraving world, I have to tackle those things one by one. 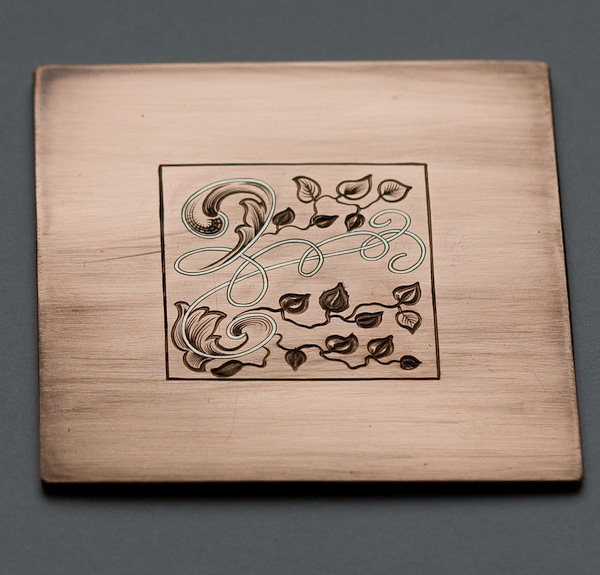 This time I tried a process called wire inlay. 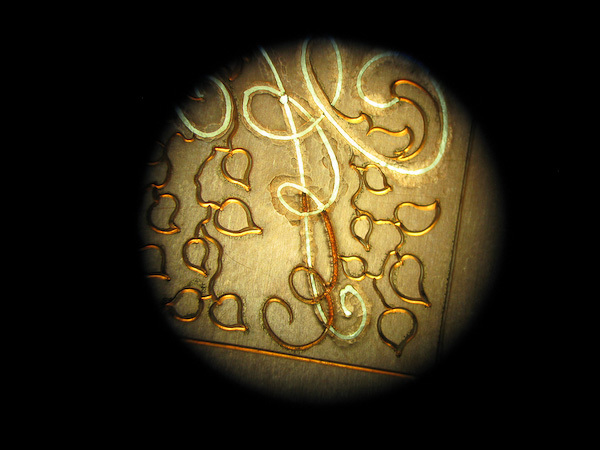 Usually gold is inlaid into steel, but as I had neither at hand I inlaid silver wire into copper. 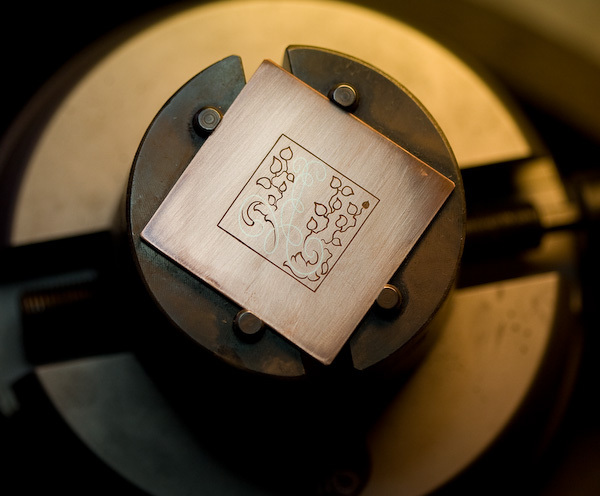 It is good idea to inlay softer metal into harder one, but having limited resources I had to do vice versa. That wasn’t so bright idea from my side, but fortunately everything sort of worked out. Here’s a little step-by-step progress. Channels for wire inlay are cut and extended/undercut to receive wire. That is the view I see from microscope. Here’s prepared channel and some inlaid wire. When wire is inserted into channel it is beaten flush to copper with brass punch. During that process wire will extend into undercut channels and doesn’t come out later. 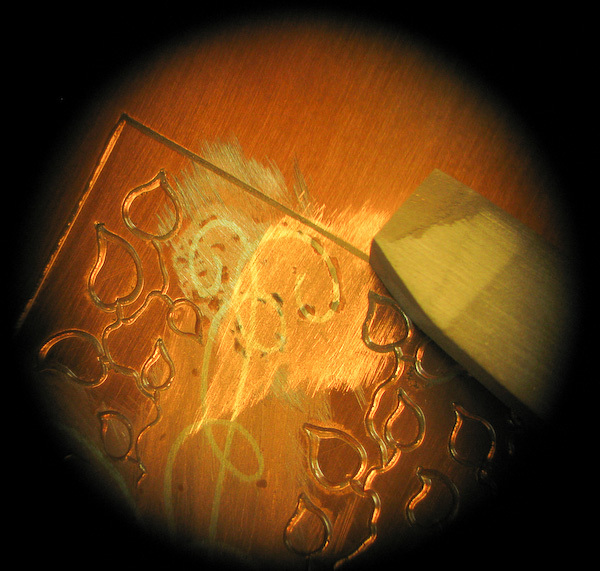 After wire is inlaid, the surface is sanded smooth. I use 600-grit stone for that. Inlay is completed and sanded. Now it is still needed to trace the outline of inlaid wire to make it pop, leaves need shading too. All in all it took me about 13 hours to complete. I learned a lot from this practice, but as you can probably see there are still many mistakes. So more practice is on the way. Hopefully next time I can already inlay softer metal into harder one. That makes the process much easier. Now if anyone could send me $1000 USD so I could buy 24K gold wire. It’s for practice, honestly. I really love you design here Viljo. This looks superb. Can’t wait to see what you do with softer metals. about the 24k gold wire… you could purchase quantities less than an ounce from Rio Grande or Stuller jewelry supply. Two feet of 22 gauge (.65mm) 24k would be about $150 if the current spot were $1,000. You could probably do a lot of nice embellishing with 2 feet of wire. Your work is beautiful… I mean really beautiful. 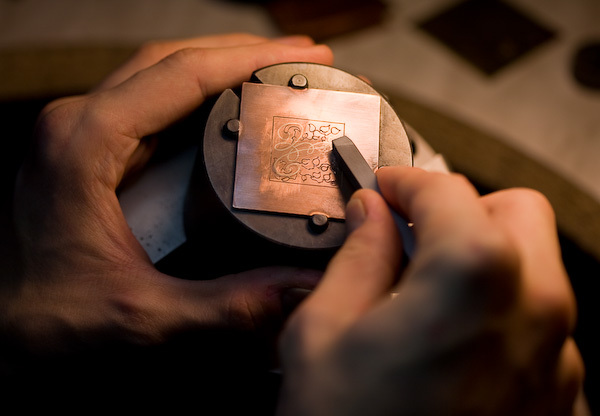 I hope to learn some elementary principles of hand engraving some day. Those are absolutely beautiful. Reminds me of leather crafting.